Today marks fourteen years since Jack Hyles left this earth. And his works do follow him. 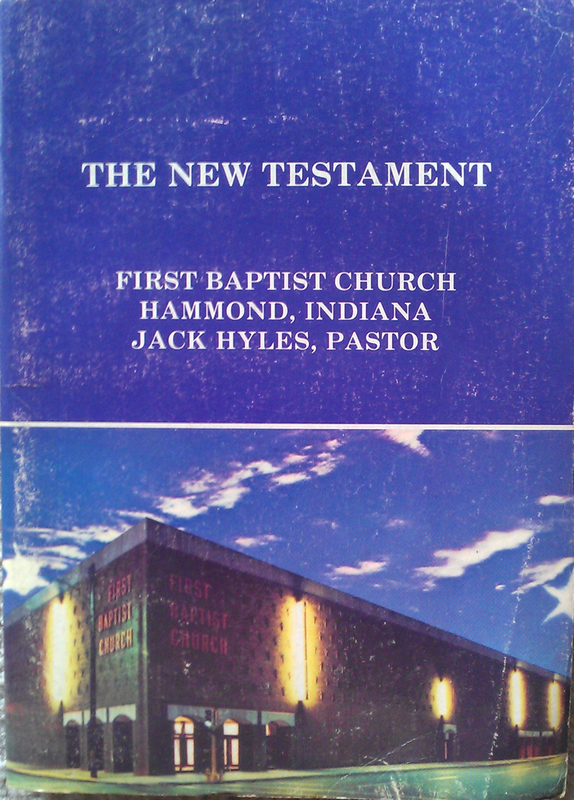 Not content to merely sign the flyleaf of the Bible, Jack Hyles went one step further and actually put his name on the cover. Because nothing says Youth Conference like pretending to be criminals. Normally here on SFL we’re more involved in simply commenting on what’s going on instead of getting directly involved in the cases themselves. However, today I spoke to the detective who is currently investigating Tedd Butler and I agreed to put out a call for information to the community at large here. If anybody in the SFL community knew Tedd Butler back in the day or ran in the same circles and churches that he did, I’d ask that you consider giving the investigating detective a call and giving him whatever information you can about what kind of a person he was or anything else that you can remember about him. They’re in the process of trying to piece together the bigger story of what kind of man Tedd is and where he comes from and any help you can provide would be much appreciated whether that’s information that’s good, bad, or indifferent.